These general terms and conditions of sale apply to all orders placed on the CAVIAR-STURIA website. They are exclusive of any other conditions. Caviar is a product that can, by its nature, deteriorate rapidly. The ideal storage temperature is between -2 and +2°C Fresh products must be stored in the refrigerator, while dry products must be stored in a cool place without humidity. The product must be consumed within the limit of the date indicated on the packaging, the products appearing on the site are offered within the limits of available stocks. If a product is out of stock, STURGEON undertakes to inform the buyer of its availability by telephone or e-mail. Validity of the offer: Offers on the site are valid for as long as they are online. The photographs illustrating the products do not fall within the scope of the contract and are simply indicative of the general presentation of the product. The processing of your order is carried out by a series of data entries on successive screen pages. To finalize your order, you must accept these conditions on the "Summary of your order" screen. Until the time of payment, you can modify the products ordered. STURGEON will confirm your order by e-mail. This confirmation of consideration will contain a summary of all the products for which you have confirmed the order. STURGEON undertakes to guarantee the conformity of the products in relation to the descriptions presented on the site. The goods become the property of the buyer at the time of receipt of the package. 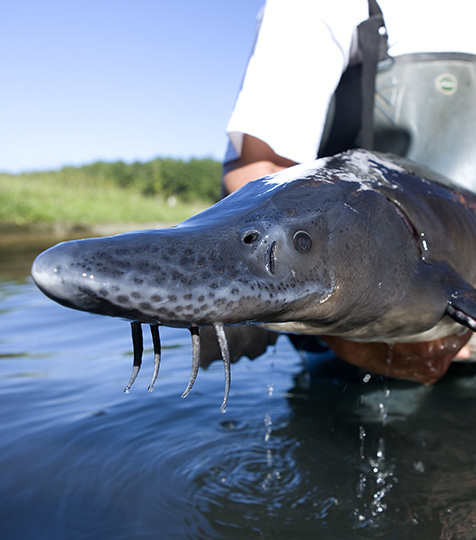 From this transfer phase, the buyer undertakes to be responsible for the conservation of the product for private purposes, and this sale must under no circumstances give rise to any other trade that is not controlled without STURGEON's agreement. STURGEON reserves the right to cancel any order if information provided by the buyer proves to be false. In the event of missing goods, STURGEON undertakes to return the products as soon as possible. Prices are in euros, all taxes included, excluding shipping costs. Shipping costs are added when validating the order for Metropolitan France. Payment can be made either: - Online, when ordering, by credit card (CB, Visa, Eurocard-Mastercard). In this case, you are redirected to the L.C.L. secure site (Sherlock's) guaranteeing the preservation of the confidential nature of the data transmitted (in particular card number, validity date, visual cryptogram on the back of the card) by protection and cryptology procedures. Shipping can only take place after acceptance by the bank - By cheque, payable to STURGEON SCEA. Upon receipt of this, STURGEON undertakes to have the goods shipped. STURGEON undertakes to deliver in Metropolitan France, within 48 hours from the confirmation that the order has been taken into account. Deliveries are scheduled from Tuesday to Friday only. No delivery will be made on Monday, Saturday and Sunday, as well as on public holidays and the day after public holidays; in case of absence STURGEON reserves the right to make either a new delivery the next morning with a notice from the carrier, or a return of the package directly to the place of dispatch. For quality reasons, STURGEON considers itself solely responsible for this decision. STURGEON reserves the right to choose the carrier and undertakes to deliver the customer to the delivery address indicated on the order form. The buyer undertakes to indicate when ordering an address (excluding PO box) to which delivery can be made during business hours. On express indication, the delivery address may be different from the billing address.